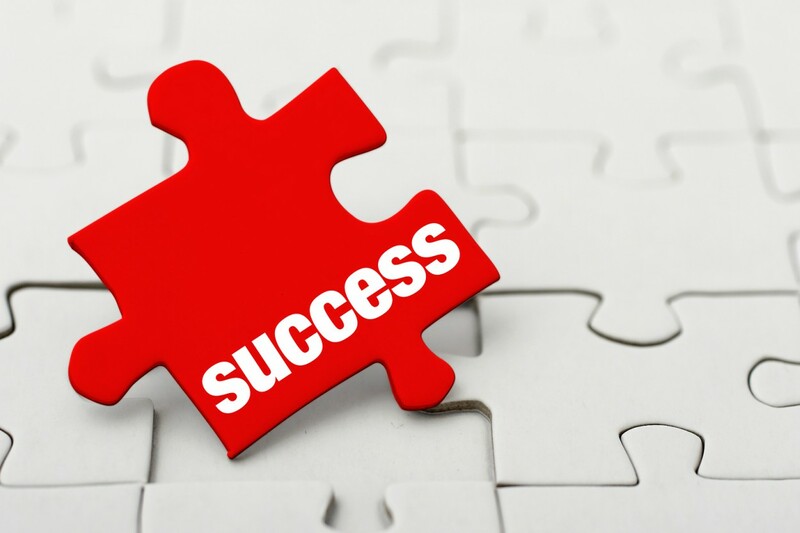 Success factors. We talk about them often. Probably too often. I know I (too) frequently ask administrators and teachers what success looks like and sounds like in their buildings. Like many others, I've fallen into the S.M.A.R.T goals trap of thinking about success, and I know better. There is a lot of value in using S.M.A.R.T goals; however, sometimes what we know as "success" isn't measurable nor time-bound. It's not quite "I'll know it when I see it" because there is often a specificity to what we recognize as success. But sometimes we don't know until we see it, though might mean we can't articulate what success looks like and sounds like because we haven't been clear on our intentions and goals before we've started an implementation or an initiative. 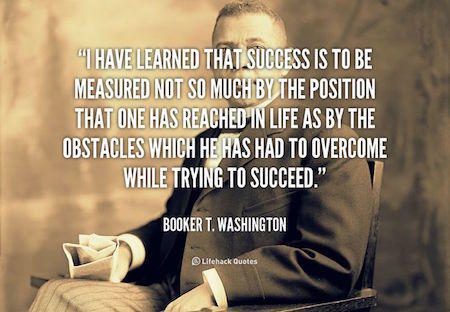 I have always loved this quote from Up From Slavery: An Autobiography by Booker T. Washington: "I have learned that success is to be measured not so much by the position that one has reached in life as by the obstacles which he has overcome while trying to succeed." Of course, in context, it has more nuanced and complex meanings for Mr. Washington, a black man working towards his very particular experiences of success. What I like about his definition is that it underscores that true success acknowledges and honors the journey. That's what I hope students know, even as we push them towards compliance and task completion. If they believe that success is, for example, finishing a worksheet by the end of a class period, we have done them a serious and egregious disservice. In "Staying Mission Focused as a Leader," Matthew Howell asks this question in his conclusion: "Did you give your best effort for the students you serve?" It's a compelling question and one of several we could ask ourselves. I have to wonder how many teachers and how many leaders will and do honestly answer that question with a hesitant "no." I wonder how many internal dialogues reflect the vacillation of their rationales as they struggle to try to get to "yes," but believe that through the exhaustion, the frustration, and the host of other factors, they cannot. Did they give their best efforts under the circumstances? Probably? Is that enough? I think so. So let's follow this a bit. What gets in the way of a teacher, or an administrator, giving their very best for their students? 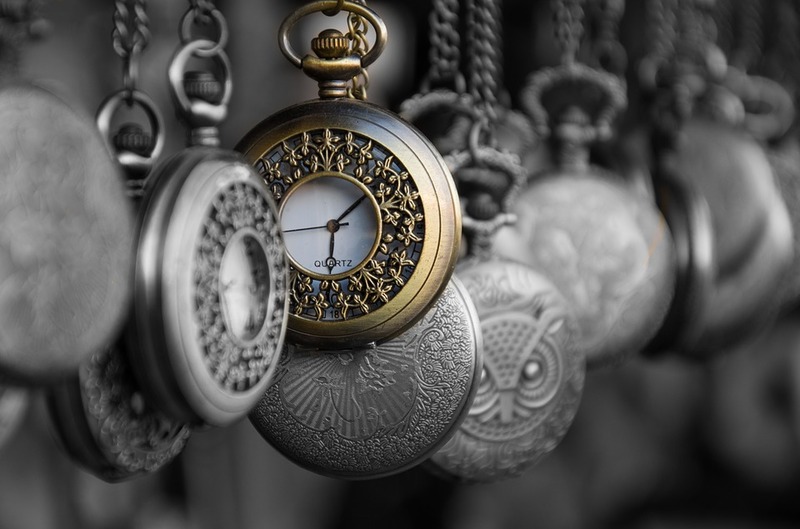 Many will say time as that's the favorite barrier to any accomplishment. And if it's not time, it's some combination of time, money, resources, and/or training. Or it could be because there are just too many initiatives and this is just "one more thing." Sometimes the reason teachers or leaders can't do their best is the students themselves, or the parents. In other words, it is always something outside of the individual that constitutes the barrier for success. You see, I'm not really responsible for anything other than my own actions, attitude, and behaviors. Sure, there are dozens of things conspiring against me every day, but I still have the choice of how I respond. I can't help but think of Benjamin Franklin's Autobiography. In Chapter 9, he articulates his "Plan for Attaining Moral Perfection." The man aimed high, and that's likely one of the reasons he was successful. But what I've always admired and appreciated is his daily schedule and his two questions: "What good shall I do this day?" and "What good have I done to-day?" Big questions. Good questions. And they remind me what might constitute "success," at least for me. Did I do as much good as I could throughout the day? Did I, despite what I perceived to be as unnecessary and annoying questions or "bad" behavior or attitudes of others, persevere and do my best? Did I leave the internal monologue as an internal attitude release only and focus on making sure I was doing the right thing, even the best thing? I'm never going to answer a resounding "yes" because I'm a flawed human being. But if I can honestly say that I did my best to manage the complexities of the day that threaten to confound or undo me, then I can say I did my best and I was successful that day. And that is all very well and good for a day-to-day analysis, if you will, of success. But what about success over time? Ah, that is the question for another blog post. . .coming soon.